hand lacing and Indian-type fringe . . Lined with worm acrylic pile. Tan. fort: cotton corduroy uppers . .
absorbent cotton terry lining ..
the easy way--order by phone. 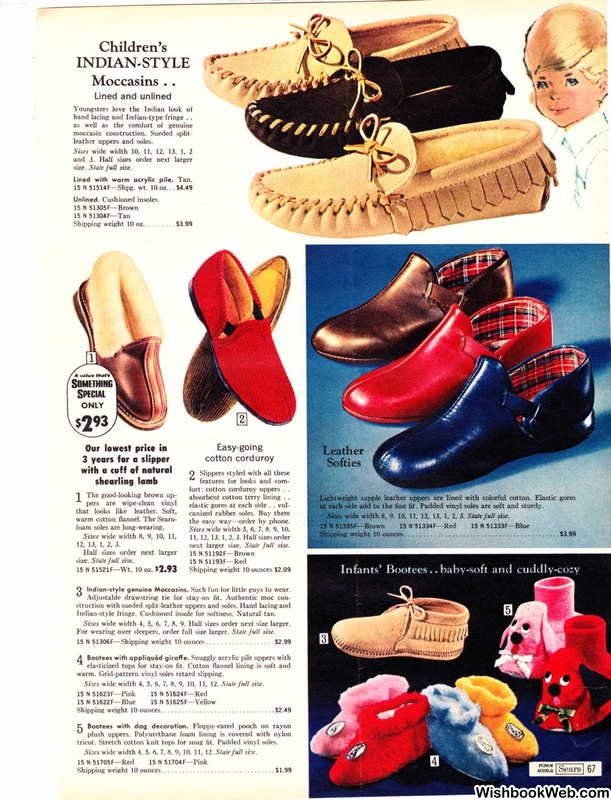 Indian-style genuine Moccasins. Such fun for little guys to wear. Jndian-st)·le fringe. Cushioned insole for softness. Natural tan. wide width 4, 5, 6, 7, 8, 9. Half sizes order next size larger. For wearing over sleepers, order full size larger. 51306F- Shipping weight 10 ou nces. warm. Grid-pattern vinyl soles retard slipping. wide width 4, 5, 6, 7, 8, 9. 10, IJ, 12.
tricot. Stretch cotton knit tops for snug lit. Padded vinyl soles. 7. 8. 9, 10. 11, 12. Shipping weight 10 ounces.. .